So we stayed out real late tonight, and it snowed on our gift, but I don't think it got hurt much and will still work just fine. 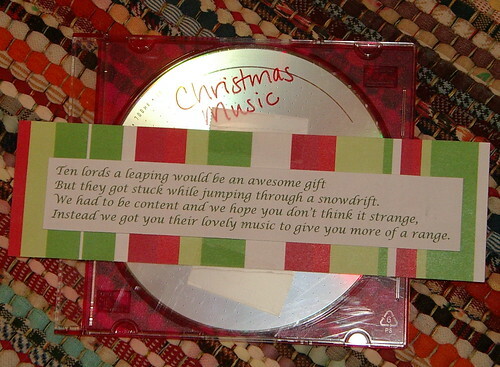 We received a compilation Christmas CD. But they got stuck while jumping through a snow drift. Instead we got you their lovely music to give you more of a range.